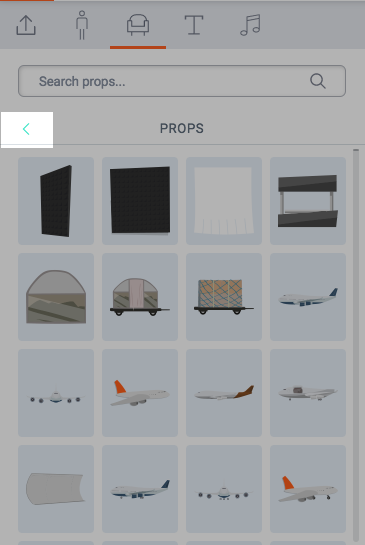 1) Click on an icon in the Asset Library. 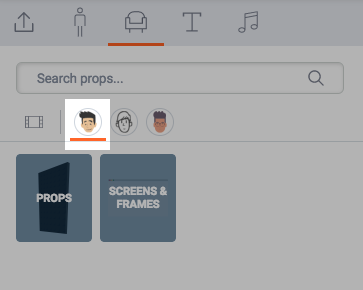 2) Select a Business Friendly, Whiteboard Animation, or Contemporary icon. 3) Select an asset option from the panel. 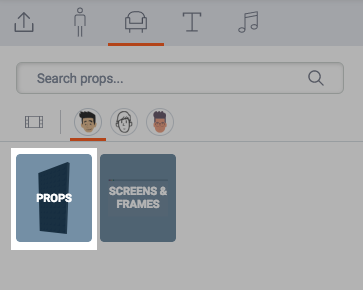 4) Click on an asset to add it to the scene. 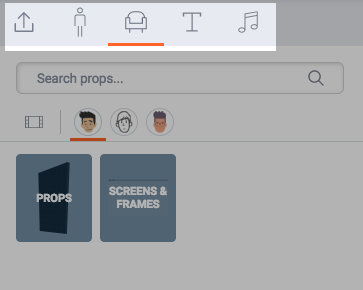 5) Click the Back icon to return to the previous panel. 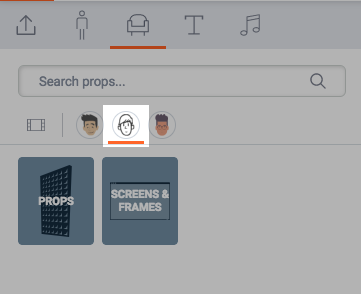 6) Select another style and repeat the same steps to add more assets from other styles to your scene.